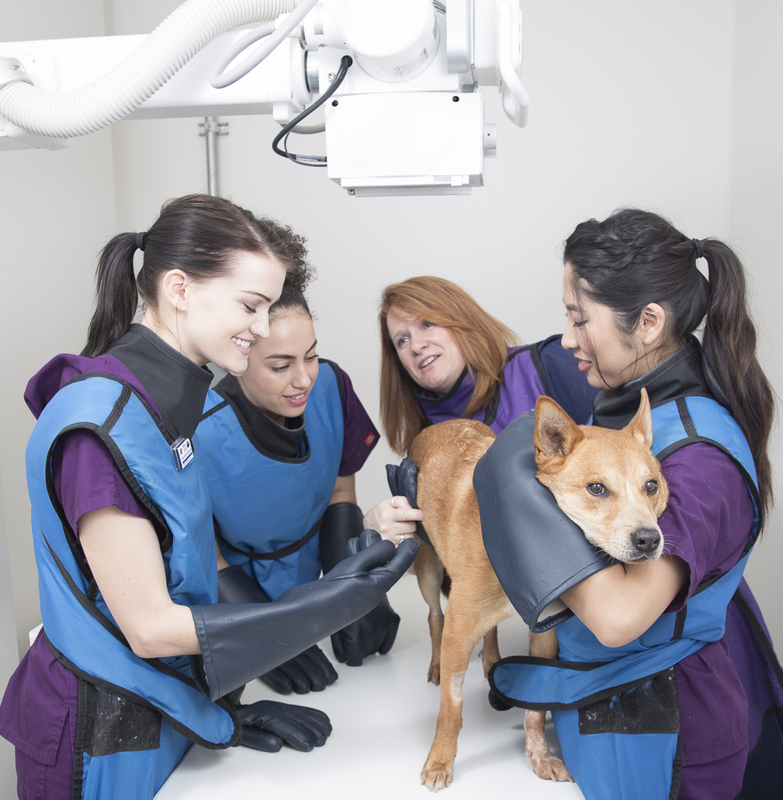 Stanbridge University is the honored recipient of the first-ever silent elevating x-ray table system, gifted to the institution by industry trailblazer MyVet Imaging. We are excited to provide our Veterinary Technology students with additional hands-on learning experiences utilizing cutting edge technology that opens advanced pathways for patient comfort and safety. The MyVet table system is an elevating radiographic imaging table that includes revolutionary features such as a large wireless 17”x17” digital flat panel detector, allowing for faster, streamlined imaging. The foot switch activated operation, lowering table top, and quiet motor movement eliminate the need to lift non-sedated animals into position, reduces startle reflexes, and offers greater stability for each patient. Stanbridge Vet Tech students are able to train with digital radiographic technology utilized in professional practice, which prepares them for successful futures as leaders in the veterinary field. To learn more about Stanbridge University and the Associate of Science in Veterinary Technology degree program, please visit, www.stanbridge.edu.